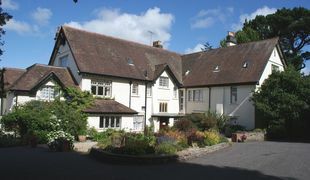 Porlock Vale House is a beautiful, well kept private estate comprising of a magnificent 15 bedroom Edwardian House and two self contained two bedroom apartments, nestled within the Exmoor National Park. Exquisitely positioned with a superb wooded backdrop, overlooking the sea, the grounds back on to the small picturesque harbour of Porlock Weir. 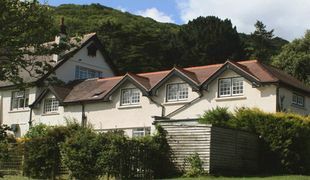 Situated within the Exmoor National Park and 250 yards from the sea - this wonderful and unique holiday accommodation with direct access to the beach offers self-catering holidays for large groups or small family gatherings in a stunning setting. Vale View Apartment is a very large two-bedroom holiday first floor apartment that sleeps 4 people. There are two well-presented bedrooms with a wonderful open-plan kitchen/reception area - perfect for entertaining. A balcony with stunning views across paddocks, the perfect spot for a pre-dinner drink. The property is child and dog friendly in a gorgeous location. Porlock Vale house is a stunning 19th century House with magnificent views over to the coast and sea beyond. This superb and unique holiday home sleeps up to 30 people in a 15 en suite bedrooms. With outstanding views and beautiful spacious gardens, Porlock Vale is an individual property that is tailored towards groups of families and freinds that want a luxury holiday home on the coast of North Somerset. 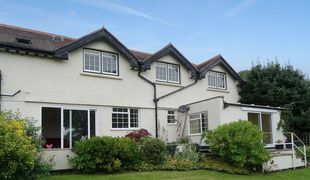 A comfortable, spacious ground-floor apartment within the west wing of a beautiful Edwardian house. There are gorgeous views to the sea across its enclosed garden (patio, barbecue). Garden View's conservatory is perfect for relaxing at the end of a long day on the Moor.